We've created a spritzer-like summer cocktail to serve a crowd with Red Zinger tea, pomegranate juice and chilled prosecco. Prosecco is a bubbly wine like champagne, but it comes from Italy and not France. 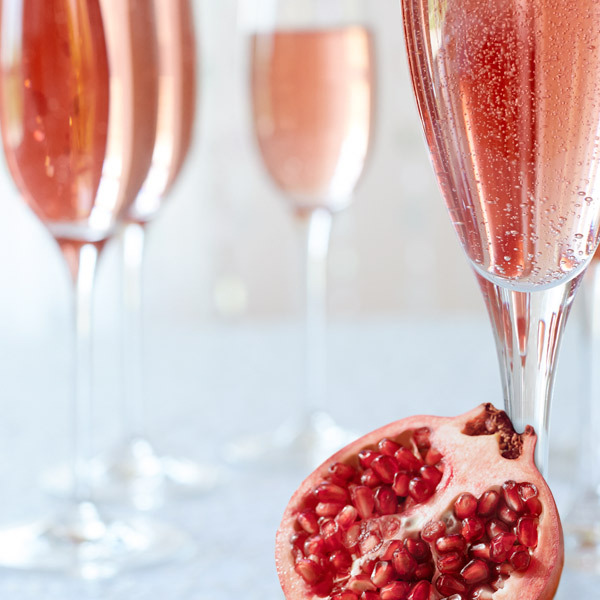 For a nonalcoholic version of our pretty pomegranate punch, simply substitute sparkling cider for the prosecco. Your punch bowl will be the life of the party! In a large saucepan, bring the water to a boil. Add the tea bags and steep for 7 minutes. Discard the tea bags and add the pomegranate juice and pineapple juice. Refrigerate until well chilled. Just before serving, add the prosecco. Serve over ice.